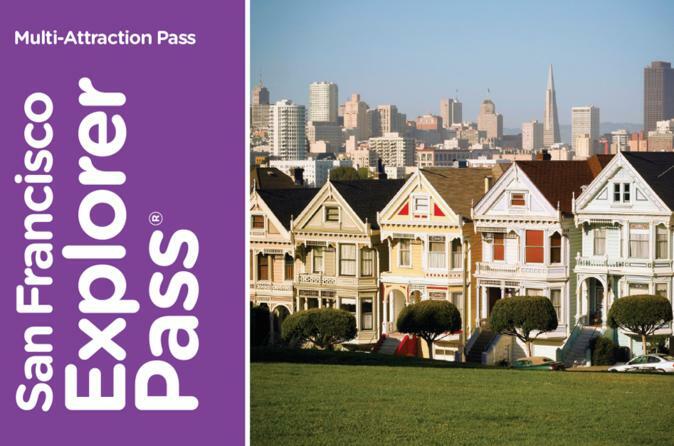 Save money on some of San Francisco's best-known attractions with the San Francisco Explorer Pass. Choose four sights out of a list of 20 museums, boat tours, popular public transportation and other activities in and around the city, and see them at your own pace anytime within a 30-day period. Plus, a complimentary guidebook and discount offers help independent travelers make the most of their time in the city! Enjoy direct entry to attractions. Simply print your pass, or download the code on your mobile phone, and go – no voucher redemption required! Head to the San Francisco Visitor Information Center to redeem your San Francisco Explorer Pass and select four attractions to visit at your leisure. Your pass takes effect when you first use it at an attraction and remains valid for 30 days, so there's no need to cram all your sightseeing into one day. Choose from 20 top area sights and activities including the Golden Gate Bay Cruise by Red and White Fleet, the California Academy of Sciences, the Exploratorium, a tour of AT&T Park and a San Francisco bike rental (see Itinerary for full list of attractions). Your pass saves you money and time while allowing you the flexibility to see your chosen sights at your own pace. Your Explorer Pass to all things San Francisco includes a handy pocket guidebook and discount offers to a variety of local restaurants and shops. Convenient and economical, this pass makes exploring the best of San Francisco a breeze, whether you're a visitor or a resident.